40 Days of Intention: Day 9 | Tweak your week! My intention today is to take care of my body. First up a yummy smoothie. Yes it’s a weird brown. 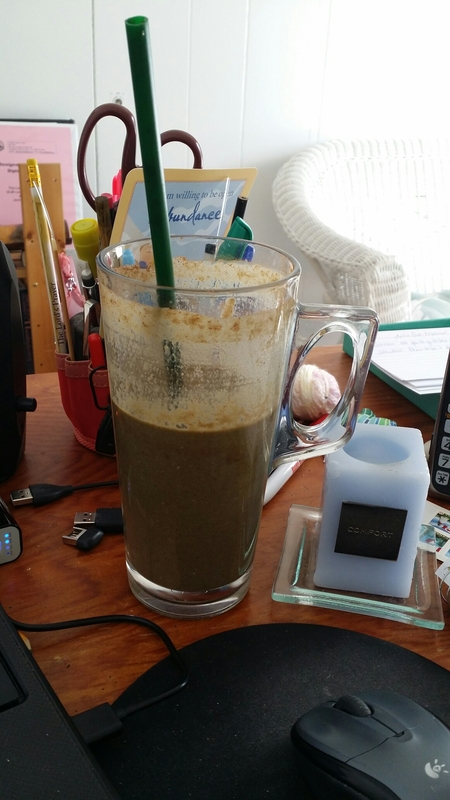 The colour comes from hemp protein powder, green powder, carrot and lemon juice, and fresh sunflower sprouts. I added some strawberries and 1/2 banana. Quite yummy but not something I can gulp down in a hurry. Do you have a go – to favorite smoothie? I encourage you to try something new today.